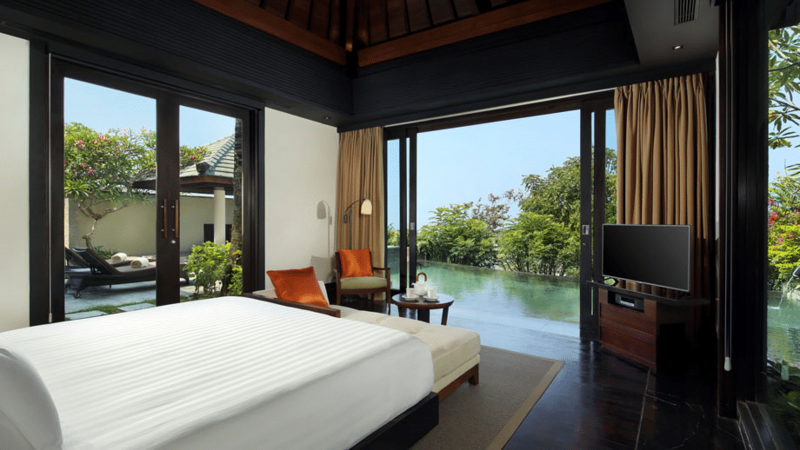 One of the best perks of the AMEX Platinum Charge card is the welcome gift of a two night stay at selected Banyan Tree or Mandarin Oriental Properties. 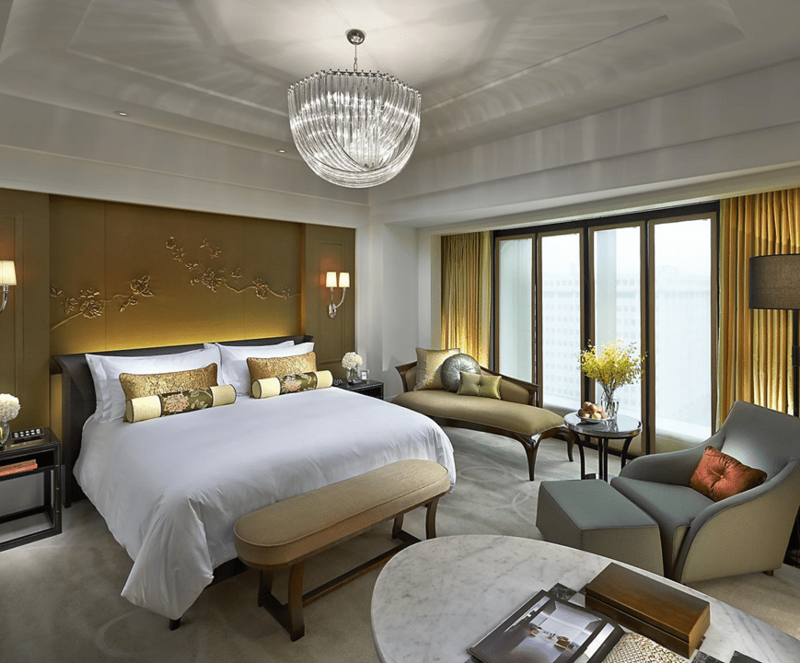 If you’d prefer to do a staycation, you can opt for a one night stay at the Mandarin Oriental Singapore or Capella Singapore. I recently received and booked my free hotel stay, so here’s a run down on the terms and conditions, how to make your booking and which property is the most “worth it”. 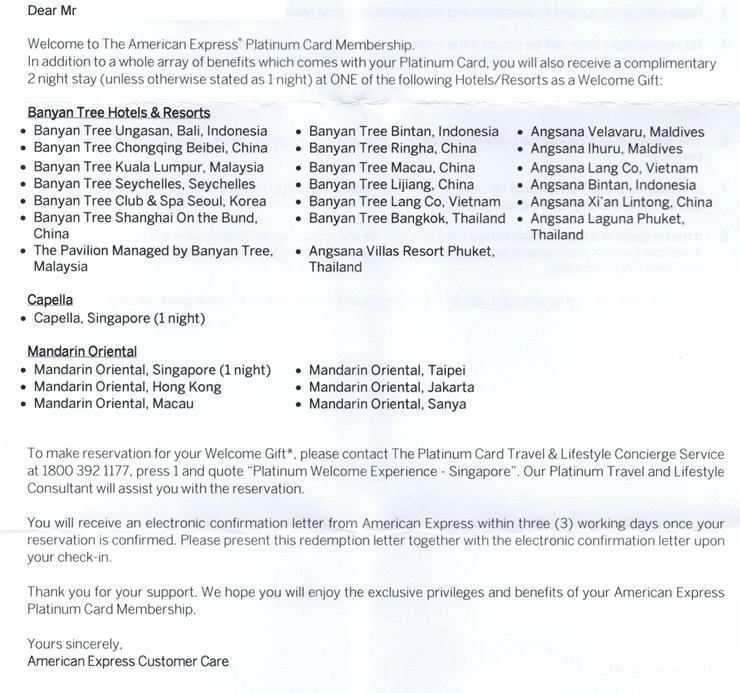 The complimentary stay voucher is not included in the AMEX Platinum Charge’s welcome pack. 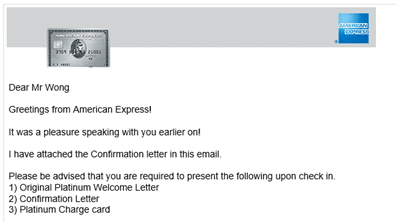 Instead, it’s snail mailed to you about 4-6 weeks after you pay the $1,712 annual fee in your first statement. In contrast to the grandeur of the welcome pack, the complimentary stay voucher actually comes in a very nondescript plain white envelope. Be sure to keep it in a safe place because you’ll need to present the original copy when making your stay. 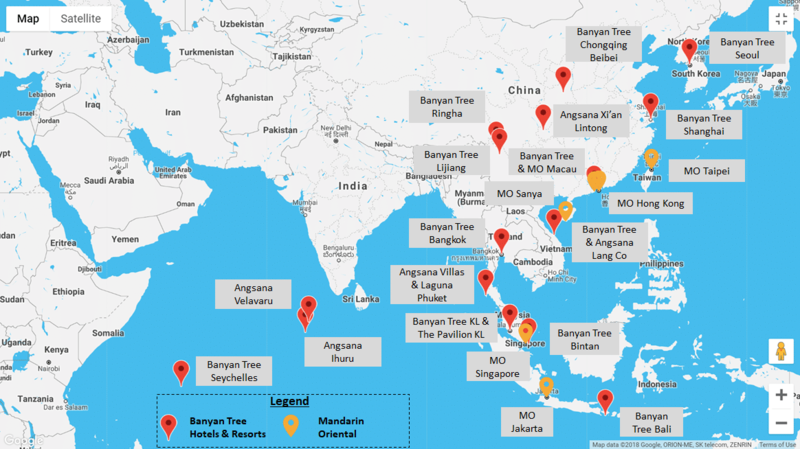 There are a total of 26 hotels where you can use your voucher- 19 Banyan Tree & Resorts, 6 Mandarin Orientals and the Capella Singapore. 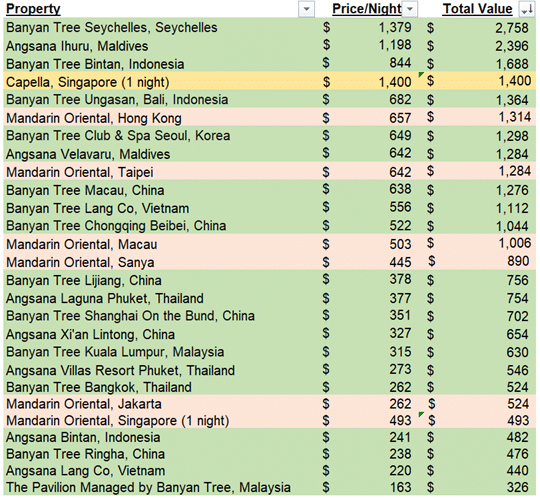 Here’s the geographical spread- as you can see, most of the properties are in the Asia Pacific region. What are the T&C governing the free stay? 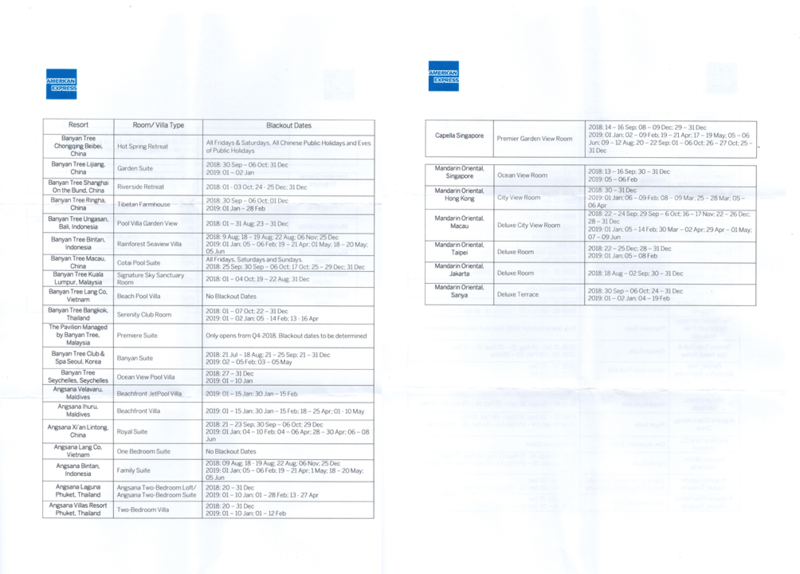 Each hotel also has its own blackout dates where the free stay voucher can’t be used. Unfortunately, your free stay can’t be booked online so you’re going to have to call up the Platinum Travel desk at 1-800-392-1177 or drop them an email at [email protected] to make your booking. I sent my email on a Saturday and received a call on Monday afternoon to confirm my details. Shortly after that, I received an email with my confirmation letter enclosed. If you’re eager to redeem your free stay, note that there’s no need to have physically received your voucher before contacting the travel concierge. You will need to present the voucher when you stay, but otherwise there’s nothing stopping you from making the booking first and getting the voucher afterwards. Given that bookings require a one month lead time, this can help those of you who intend to stay in the near future. 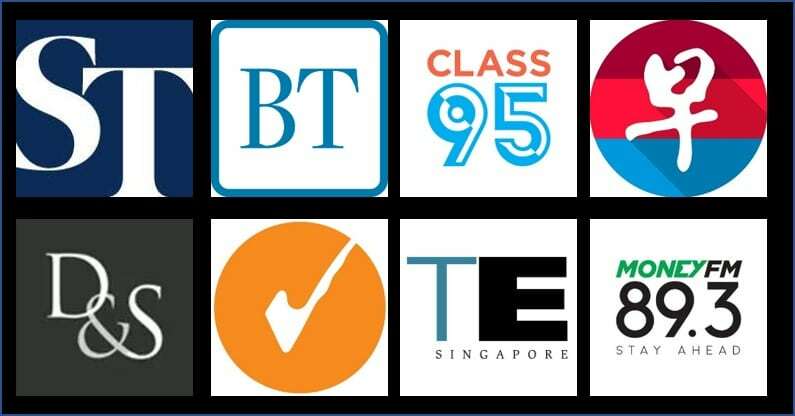 Which properties represent the best value? With 26 high quality properties on offer, this seems a bit of a minefield question. “Best value” is inherently subjective, and hard to answer without knowing your individual travel patterns and preferences. From a pricing point of view, however, here’s how the 26 different properties measure up, based on the rate for a standard room on a random February weekend. There’s a subtle but important nuance to add to the table above. 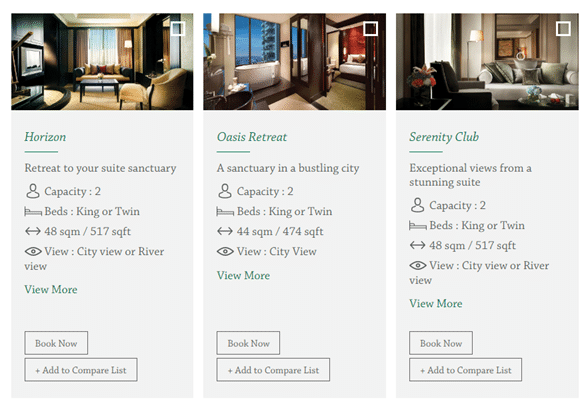 I’ve taken the price of a standard room for comparison, so the overall order in terms of “atas-ness” will be correct. However, the value you get from each property may be different, because the free stay voucher doesn’t cover the same type of room for every property. …or the Angsana Bintan, where the free stay voucher gets you the Family Suite, the highest category of room there is! Which hotel did I choose? 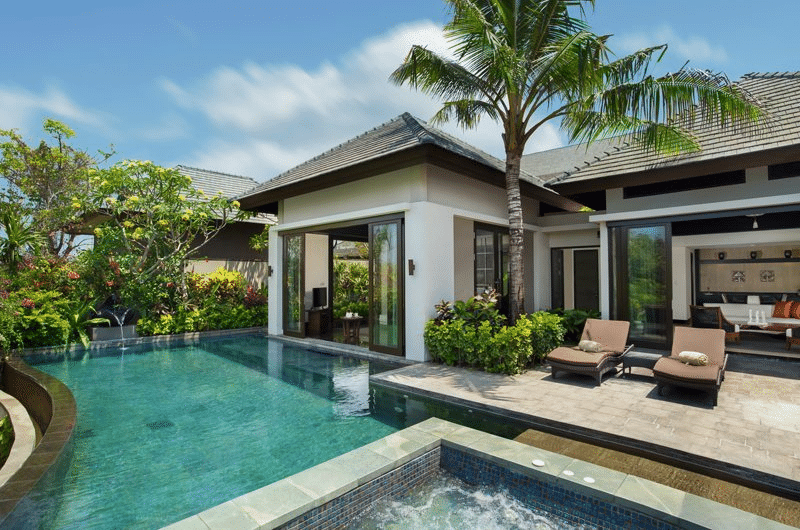 The base level pool villas come with 10m infinity pools, a private jetpool, a Balinese bale with daybed and measure up at an impressive 4,521 square feet. The property itself sits on a cliff overlooking the Indian Ocean, and has won rave reviews from those who have visited. For the period I was looking at, a flexible rate with breakfast would have set me back more than US$800 a night, so I was more than happy to cash in my voucher here. The $1,712 annual fee that the AMEX Platinum Charge carries may be hefty, but assuming you value perks like these, the first year’s fee could well be worth paying. Be sure to do your research on each property and its revenue rates for the period you’re looking to visit, because the last thing you want to do is blow your voucher on a room you could have afforded normally. Want to learn more? 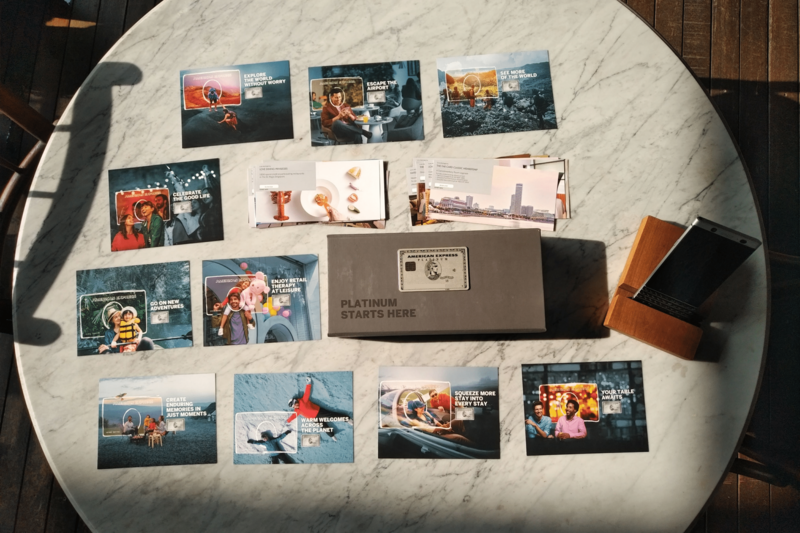 Join The Milelion’s dedicated AMEX Platinum Charge Telegram Group for more discussions on the perks of the card. 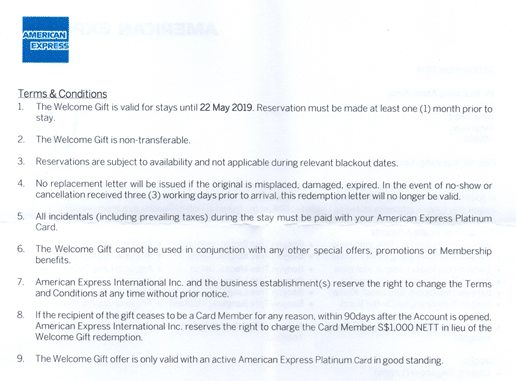 Thanks to the Milelions coverage of the AMEX Plat I have managed to secure a 2 night Maldives stay over New Year that is priced at over $3,000 – Thanks! Which MO in HK is it? For both properties? Does your redemption at Banyan Tree Bali include complimentary breakfast? 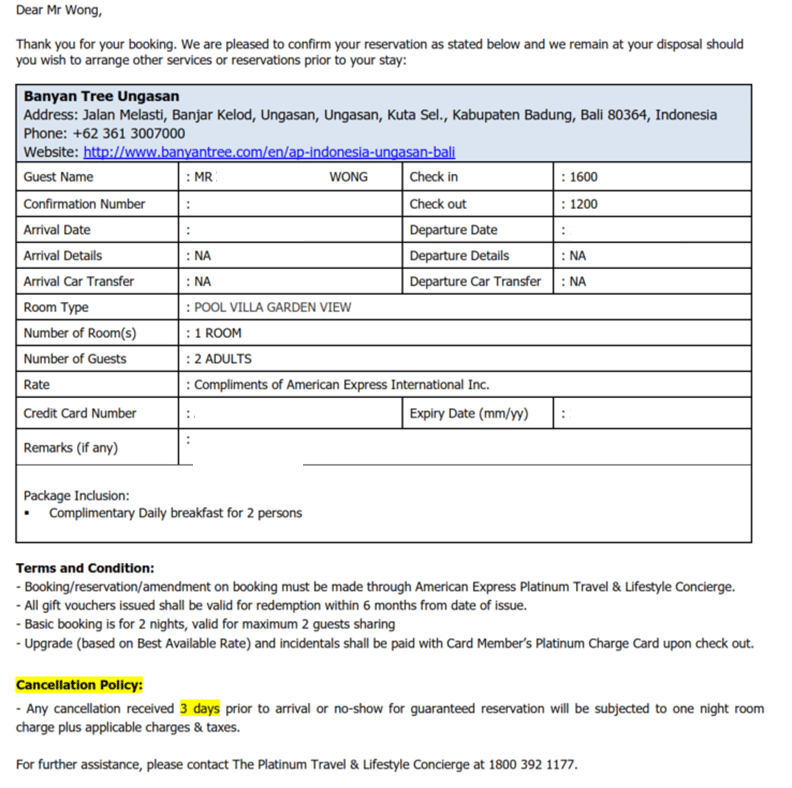 Next Entry Citibank launches PayAll: could this be the cheapest way of buying miles?